Pastor John Hagee released on Monday a new film entitled “Four Blood Moons” to examine the tetrad of Blood Moons occurring over the 2014-2015 years during the Jewish festivals of Passover and Sukkot. “Four Blood Moons” is a docudrama that explores this supernatural occurrence in which science, history and Scripture all align in the examination of a rare lunar phenomenon that has, over the centuries, accompanied both tragedy and triumph for the Jewish people. 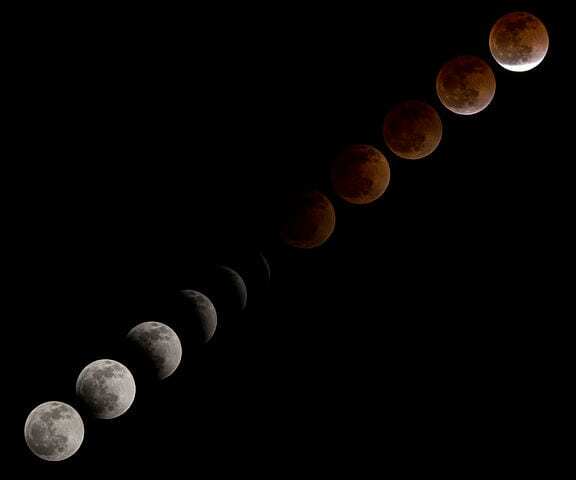 A Blood Moon occurs during a lunar eclipse. When the earth comes between the sun and the moon, the sun shines through the earth’s atmosphere, casting a shadow on the moon and making it turn red. He explains the spiritual significance of the Blood Moons relates directly to today’s modern political sphere. “Two sets of blood moons, in 2014 and 2015, point to dramatic events in the Middle East and, as a result, changes in the whole world,” he said. 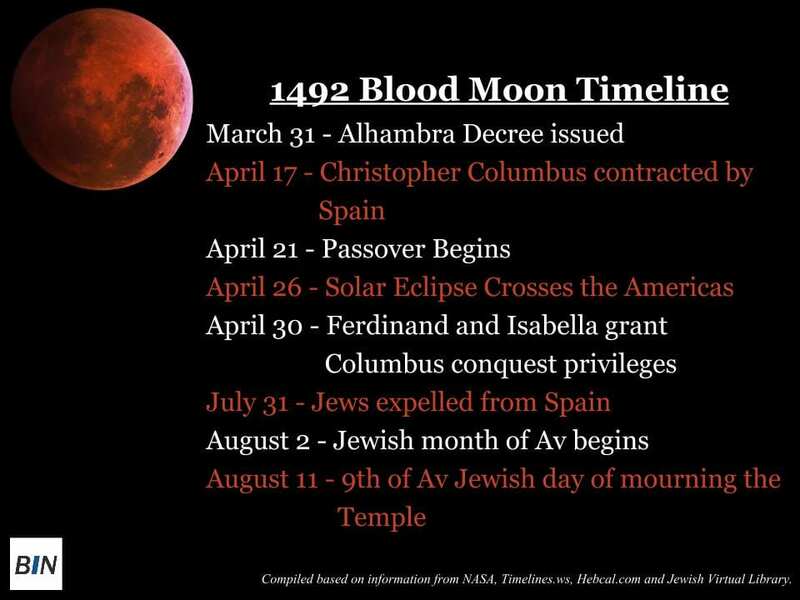 Only three times in the past 500 years have four of these blood moons (which make up a tetrad) occurred back to back and on major Jewish holy days. What happened in the past around such occurrences? In 1493, Spain’s rulers completed their expulsion of all Jews and explorer Christopher Columbus discovered America, an eventual safe haven for the Jewish people. The tetrad began one year after the expulsion itself, which occurred in 1492. In 1948-49, when the second of these tetrads occurred, the State of Israel was founded. The third tetrad occurred in 1967 and 1968, which was the year of and the year after the Six-Day War in which Jerusalem was unified and the State of Israel expanded to include the biblical heartland. Now, in 2014-2015, the safe haven for Jews has already been created, but the concepts, ideas and thought generated by these lunar appearances has begun causing both Jews and Christians to more deeply explore and understand the roots of their faith. This is where Root Source, a new organization that aims to bridge the gap between members of the two faiths through mutual learning in an informal and loving manner, steps into the picture. The organization created a free eBook, “Blood Moons 101”, and is offering a brand new lecture to tackle the spiritual ramifications of the Blood Moons. It is through such classes as these that Root Source enables and encourages dialogue and relationships between Christians and Jews, and empowers Christians to learn like Jews have been learning for centuries. The staff of Root Source is comprised of Israeli Jewish teachers who know that their students are Christian. The teachers, as well as other members of the staff, respect the identity of their students and their faith. Root Source gives Christian students access to world-class Jewish biblical teachings online, which thereby helps them learn on a deeper and richer level to reach higher in their Christian faith. Root Source also provides students with the opportunity to ask any question openly. O’Dell, in addition to being one of the co-founders of the organization, is also a hi-tech entrepreneur and philanthropist and a pro-Israel Christian with experience in different streams of the Christian faith. ​When asked how the Sabbatical year in Israel, during which Jews are commanded to let the land lay fallow, affects the tetrad, O’Dell was equally secretive preferring to keep his cards close to his chest until Root Source students hear the answer. To download the free eBook “Blood Moons 101” please click here.